The Union of Scranton (the Polish National Catholic Church and the Nordic Catholic Church) hosted a Convocation for Restoration and Renewal of the Undivided Church: Through a renewed Catholicity. The purpose of this gathering was to invite selected bishops, mostly from Anglo Catholic Churches in the United States and Africa, and a representative of the Ecumenical Patriarch, to discuss the preservation and the strengthening of ecumenical catholicity within non-papal aligned traditions. 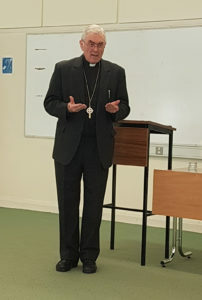 Confronted with the present crisis of faith, the desired goal is to create the foundation blocks for a united witness so that the doctrinal and historical coherence can be saved for the future. It is our conviction that Old Catholicism, based on "The undivided faith of the first millennium", stands out as the best platform to address not only the crisis of faith but also the present challenges from aggressive secularism and militant Islam. fill it with all truth, in all truth with all peace. O thou Holy One of Israel, for the sake of our Saviour Jesus Christ. Leaders from the Polish National Catholic Church and the Nordic Catholic Church under the Union of Scranton invited Anglican Leaders representing various Churches and Provinces along with The Mission Province of Sweden, gathering in Dublin, Ireland March 6-8 for a Convocation for the Restoration and Renewal of the Undivided Church through a renewed Catholicity. other jurisdictions that may join the Union in the future, in full Communion. 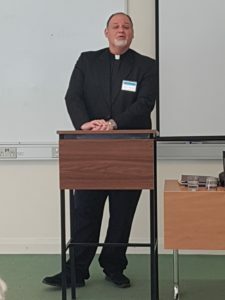 A presentation was also made reflecting the current state of relationships between Anglican Churches in the world today. The Church leaders present affirmed their mutual reception of the Old and New Testaments as the revealed Word of God; the Ecumenical Creeds; the Historic Episcopate; and the historic liturgies of the Western Church. Moreover these leaders whose heritage rests with the historic catholic faith of the undivided church have recognized and affirmed in Dublin the essentials of common doctrine, discipline, and worship as represented in Statements of our traditions such as the Lambeth Quadrilateral 1888, the Declaration of Utrecht 1889, the Bonn Agreement 1931, Road to Unity 1987, the Porvoo Statement, 1992 ,(sections 32 a-l) and the Declaration of Scranton 2008. To enter into a process whereby a delegation of observers from each ecclesial body may be sent to participate in each other’s Convocations, Conferences and/or Synods. To mutual dialogue, study and implementation of common missional objectives in our countries to the non-Christian and post-Christians found in the post-modern western world. To each explore practical and pastoral missional objectives that each of these ecclesial entities could explore for a mission partnership that would advance the cause of the Gospel in their settings, through discipleship, stewardship, and ministry training. 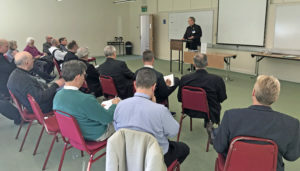 To work together in the same great purpose of the Great Commission of Christ, and on the same basis, pledging to each other our mutual cooperation and support by agreeing to foster growing fellowship and commitment to find a path for a renewed ecclesial community based in principles of ecumenical catholicity among our ecclesiastical leaders through joint prayer, study, conferences, mission and ecumenical initiatives and worship services, along with other godly activities. We look forward to a second gathering next spring hosted by the Polish National Catholic Church in Scranton, Pennsylvania. In the meantime, we will engage each other to continue our conversation as per point two above. We are scheduling a second gathering for April 23-25, 2019 in Scranton, Pennsylvania. Very Rev. Robert M. Nemkovich Jr.